Newsupdate Dharamsala, Dharamsala, Dharamshala, Himachal Navratra Series, 2009 ! NewsUpdate Dharamsala..Archive 03, 2009..For Navratra Series, Click the Graphic Above ! Dharamsala News Update..Archive 02, 2009..Holi Colors, Click Here. Dharamsala News...Archive 01, 2009.."I Dare to Dream", Click Here. An Indian Tradition..Yoga at Taj Mahal,Agra, Uttar Pradesh,India,News Dharamsala, 2009! NewsUpdate Dharamsala, 15th May, 2009 : Ancient Health and Healing in the Himalayas,2009, News Update, Dharamsala !,Dharamsala News. The 'Health and Healing' traditions of our country, India, originating from the Himalayas, have today become synonymous with the Incredible India culture. Lord Shiva, the Maha-Yogi from where the cult of meditation and yoga developed, was enshrined at the holy mountain 'Kailash' with his consort Goddess 'Parvati'. She was the daughter of the King of the Himalayas, 'Himavan' from the mountains of Himachal Pradesh. In our ancient 'Vedas', it has been mentioned that 'Ayurveda' was the divine medical knowledge given by Lord Brahma to the wandering 'rishis',in the Himalayas. The meditating rishis in their quest for 'nirvana', used this knowledge to preserve their body, mind and spirit against hunger, illness, thirst, wild animals, heat and cold. **An auspicious way to start your holiday trip to India would be to get the blessings of the Himalayas ! Start your India Miniguide Journey...Click Here ! 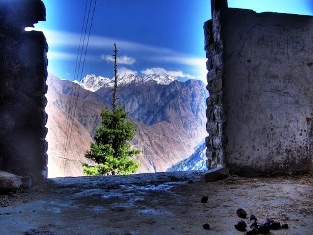 A Himalayan View, Bharmour Valley,Himachal Pradesh,India,News Dharamsala, 2009! NewsUpdate Dharamsala, 13th May, 2009 :Holiday BUZZ..Gods Valley, Bharmour,2009, News Update, Dharamsala !,Dharamsala News. 65 Kms from Chamba, the dale of milk and honey in Himachal Pradesh, is the timeless slate-roofed village of Bharmour. This was the ancient capital of the princely state of Chamba and is still today, a center of the semi-nomadic 'Gaddi' shepherd tribe. Spending a day or two, in the august company of a warm hearted shepherd family, will give you a memorable experience into the lifestyle of these wandering Mountain gypsies. Try your hand at the spinning hand wheel for hand spun wool, which you can carry back home. The Chaurasi Temples, dedicated to Shiva and the Manimahesh Temple in Shikara-style will enhance your spirituality. The Narsingh Temple dedicated to Lord Vishnu along with seven hundred AD, Lakshna Devi Temple with its intricate carved door will open your doorway to explore Himalayan Art and Craft. Interesting treks to Holi village and surrounds along with exciting jeep safaris to Manimahesh, can be the hallmark of your vacation. Kempty Falls, Mussoorie,India,News Dharamsala, 2009! NewsUpdate Dharamsala, 08th May, 2009 :Holiday BUZZ..Hill Queen Mussoorie,2009, News Update, Dharamsala !,Dharamsala News. 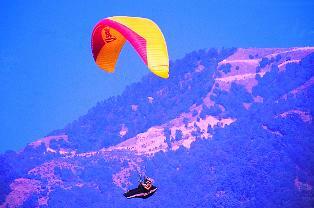 35 Kms beyond, Dehradun in Uttarakhand, is the famous hill station, Mussoorie. In 1827, an adventurous military officer, Capt. Young laid the foundation of this gay town. It is a haven of ancient shrines like Nag Devta Temple and Surkhanda Devi, along with Nag Tibba which is also an ideal trek spot. Beautiful woodland rambles in the backdrop of the Himalayas at Dhanaulti, golf, tennis and angling is a great leisure. The hilltop point Gun-Hill, during the British Raj had a gun fired at midday for maintaining the timewatch every day. The Kempty Fall, 15 Kms from the town at an altitude of 4,500 feet, is a popular splash for all, as it cascades from a height of 600 feet. News Update Dharamsala, 08th May, 2009 :Compassion of a Bureaucrat,2009, News Update, Dharamsala !,Dharamsala News. Compassion as shown by the local ADM of Dharamsala is rare to see these days. A lost mentally challenged child of 13 years, Farhan who ran away from Jammu to Dharamsala from a Mental home was re-united with his parents by, the ADM Sandeep Kumar who had brought him home and informed his parents. For a Mountain Young and Old...Click Here ! Camel Safari in Hunder, Nubra Valley, Ladakh,News Dharamsala, 2009! NewsUpdate Dharamsala, 06th May, 2009 :Holiday BUZZ..A Date with Ladakh,2009, News Update, Dharamsala !,Dharamsala News. A camel safari in the sand dunes of Hunder, Ladakh with the backdrop of the awe inspiring Himalayas, is 'something to write home about' experience of a lifetime ! Ladakh, in the North Himalayan state of Jammu & Kashmir was originally inhabitated by the 'Khampa' nomads who grazed their yaks in the green highlands. The first settlements came in by the Mons (Buddhist pilgrims) on their way from India to Mount Kailash in Tibet. The Brokpa tribe are the last Buddhist Indo-Iranian people. During the late 14th century, Tsongkhapa the founder of the Gelukpa sect, introduced the Gelukpa Buddhist order headed by the first Dalai Lama, in Ladakh. This lead to the founadtion of the various Gompas at Thiksey, Likir and Spituk, adding to the ancient Forts & Palaces in Leh. The capital town of Leh is characterised by the Leh Palace, an ancient Mosque and the famous polo ground where polo and archery competitions are held every year. The village of Changspa boasts of 8-9th century Buddhist carvings. 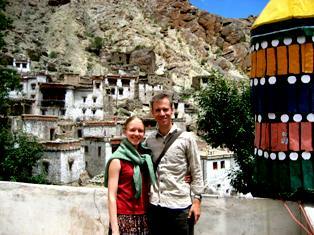 In and around Leh there are famous Gompas like, Hemis,Namgyal Tsemo,Stok, Shey and Thiksey. There are many interesting treks in the Nubra, Alchi, Lamayaru and Padum Valleys. For the more adventurous this can be the highlight of their visit. Festivals are a treat to watch specially the internationally famed 'Hemis Festival' in the month of June/July. News Update Dharamsala, 06th May, 2009 : Cricket BUZZ,2009, News Update,Dharamsala !,Dharamsala News. With over 1000 local cricket teams participating in the Twenty-Twenty Cricket Bonanza in Himachal.. young talent is being honed and the Himachal Cricket Association is breaking a mention in the Guinness Book. The Chief Secretary of Himachal Smt. Asha Swaroop is initiating a more stringent policy for a 'smoke-free' Shimla. China Peak, Nainital,Uttranchal,News Dharamsala, 2009! NewsUpdate Dharamsala, 05th May, 2009 :Wooing the Weather Gods,Holiday BUZZ, Nainital 2009, News Update, Dharamsala !,Dharamsala News. For wooing the weather Gods in the summers, to happier times, there is nothing like visiting the hill stations of India ! Nainital, once the summer capital of Uttar Pradesh, was discovered by Mr Barron, a sugar trader by accident, who created a buzz when in 1840, he got his yacht carried to the Naini Lake. This opened the famous boat-house club romance for a summer vacation. The famous Naini Lake, is the green emerald eye of Lord Shiva's consort, 'Sati' blessed by the much revered Naini Devi Temple nearby. There are many holiday experiences to share with family and friends. An aerial express ropeway to snow view which offers a spectacular view of the Nanda Devi Peak (7860 metres). Pony treks are a common sight for the tourists. Up there you can visit the Gaden Kunkyop Ling Monastery for buddhist studies. Leisure sports of golf, billiards, paddle boating and yachting can also be enjoyed. Perhaps most exhilarting are the nature walks to China Peak, Dorothy's seat, Land's end and further on from the Jama Majid, you can visit the fabled Gurney House. This is where Jim Corbett once lived and buried his guns in the garden. 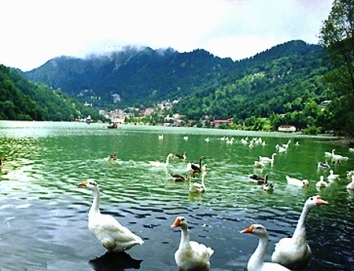 22 Kms from Nainital a visit to Satttal (Seven Lakes) is a must for a close watch nature holiday. News Update Dharamsala, May 05th May, 2009 :Wooing the Weather Gods,Sports & Election BUZZ 2009, News Update, Dharamsala !,Dharamsala News. Himachal is alive with the twenty-twenty cricket matches and Durga Mal Football Tournament, where the sporting lads are showing their shining colors. At the Bhunter airport with the clouds dripping rain drizzle, the CM Prof. PK Dhumal addressed the election rally at Chhachyot through a mobile phone. His chopper could not brave the weather Gods who none the less, made the rally an enjoyable and unique experience for the local people. NewsUpdate Dharamsala, April 27th, 2009 :The Ganga Trail, Char-Dham Yatra, 2009, News Update, Dharamsala !,Dharamsala News. 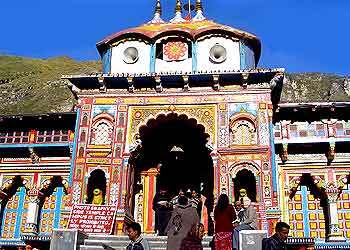 The 'Char-Dham' Yatra starts from the Akshaya Tritya, where Badrinath is revered by all the pilgrims in India. The Holy River 'Ganga', from ancient times has been the symbol of India's age long culture, everflowing ! In its most pristine form Goddess Ganga descended to Earth from Heaven at Gangotri, where Lord Shiva had to entrap her in his matted locks to counter the impact of her flow. From Yamunotri, she emerged as the sacred River Yamuna. You can visit the holy shrines of Kedarnath and Badrinath where she emerged as Mandakini and Alaknanda River. **For a Mountain Alive..Click the Graphic Below ! The Sugar Apple , Sitafal..Green Dharamsala, 2009! NewsUpdate Dharamsala, April 26th, 2009 :The Forgotten Fruit..Sitafal, Dharamsala, 2009, News Update, Dharamsala !,Dharamsala News. These Himalayan fruits could be seen every few yards, but slowly disappearing from the wild and local homes with encroachments and developments. These old timer fruits, were indeed herbal and medicinal. 'Sitafal' or the Sugar apple fruit is 2 to 3 inches heart-shaped with yellowish green carpels separating to reveal the white flesh. It has a custard-like taste that is heavily sweet and slightly acidic. Annona squamosa is most often used fresh. Sugar apple (sometimes called sharifa and custard apple) is thought to have beneficial uses as either an antidiarrheal or an antidysenteric. This plant should only be used under professional guidance. 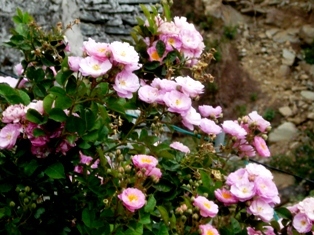 The leaves as well as the bark and the fruit and the seeds are used in herbal preparations. 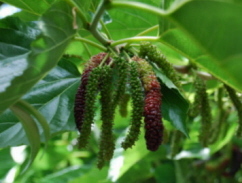 The Himalayan Mulberry or 'Shehtoot' is medium sized deciduous tree usually only to 20-30ft, but can reach 70ft. Although they appear so, fruits are not true berries but an aggregate. Trees are known to be very long lived and can bear fruit for several hundred years. Fruits are eaten fresh or can be used just like any berry. Other typical fruits, are 'Ber'(Zizyphus), 'Phalsa'(a bush plant), 'Jamun' (Blackberry), 'Karonda', 'Khirni', 'Kathaa Ber' (small red berry), etc. Dont forget your elders did it for you to preserve these fruit plants, now it is your moral duty to do it again for the future generations to come. Save, preserve and plant it in your gardens. Newsupdate Dharamsala..Himalayan Traditions..A Learned Mountain..Click HERE ! The Earth Day...Green Dharamsala, 2009! NewsUpdate Dharamsala, April 22nd, 2009 :The Earth Day Celebration, Dharamsala, 2009, News Update, Dharamsala !,Dharamsala News. 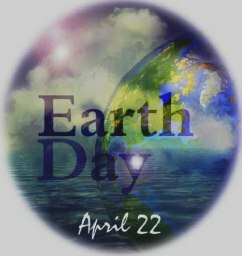 The Earth Day was celebrated all over the world, more so in the Himalayas. Dharamsala school kids had a field day enjoying nature walks, picnics and workshop on Saving Energy, Recycle using Natural Resources. **Let the Mountain Sleep..Click the Graphic Below..! NewsUpdate Dharamsala, April 21st , 2009 : Touching the Skies, Dharamsala, Dharamsala News. With Vikramjit Malik from Himachal, playing in the IPL Twenty-Twenty Tournament, we hope local tournaments like Twenty-Twenty Cricket can offer more opportunity windows for budding talents from Himachal. The Army recently concluded its Para-Gliding Tournament at Bir-Billing, where 26 pilots showed their skill in the Skies of Kangra Valley. 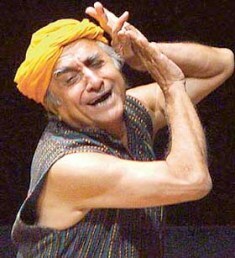 Himachal Drama & Theatre..2009 ! NewsUpdate Dharamsala, April 18th , 2009 : Himalayan Theatre, 2009, Dharamsala News. A fifteen day workshop on 'Folk Theatre' 'Acting and Stage Craft', was concluded successfully at the Radhe Govind Public School in collaboration with the Dept. of Language and Culture at Bilaspur. News Update Dharamsala, April 18th , 2009 : IPL in South Africa, Dharamsala News. The IPL Twenty-Twenty Tournament has started today in Capetown, South Africa. Those who cannot make it to the Safariland can enjoy the fun n' excitement on SetMAX TV Channel in India. News Update Dharamsala, April 17th , 2009 : Crafts Fair- Dharamsala, Dharamsala News. The ongoing Handicraft Fair is drawing a lot of crowds in the Dharamsala Police ground with the weather Gods playing hide n' seek with sun and the rain. News Update Dharamsala, April 17th , 2009 : Women's Cricket Academy- Dharamsala, Dharamsala News. To encourage sports on all level, a Himalayan Cricket Academy for Women in the Kangra Valley is being proposed by the Himachal Cricket Association. NewsUpdate Dharamsala, April 15th , 2009 : Himachal Day, Dharamsala News. "Himachal Day" was celebrated in this beautiful Kangra Valley with folk dance and music in all the regions of this Himalayan state. The Chief Secretary of the State, Smt. Asha Swaroop along with the local administration have all emphasised on the success of Himachal as a young and vibrating hill state. They have urged the people to participate in this venture. News Update Dharamsala, April 13th , 2009 : Baisakhi Day, Dharamsala News. 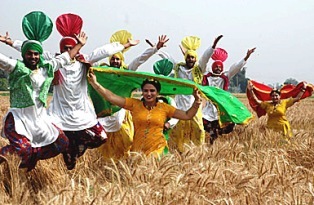 "Baisakhi Festival" , also known as the Indian New Year in the Hindu Calendar was celebrated in all parts of India with different traditions of welcoming the prosperity of the harvest season. 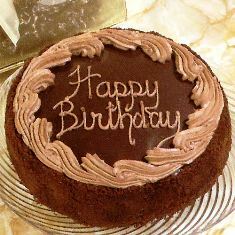 NewsUpdate Dharamsala, April 10th , 2009 : Birthday Message,Himachal, Dharamsala News. The Himachal Chief Minister, Prof. PK Dhumal expressed in his birthday message that, " The best gift he has received was the love of the people and the inspiration he received from them for endeavouring towards a 'progressive' and 'green' Himachal, for the betterment of all the Himalayan communities. News Update Dharamsala, April 11th , 2009 : Simply 'Green' Himachal, Dharamsala News. A three day long legendary 'Suhi' Fair of Chamba on 10th April, 2009, saw a colorful start with the singing and praise for Rani Sunayana who sacrificed her life for the cause of her people. In the International seminar organised by the Snow and Avalanche Study Establishment and the International Glaciological Society - UK, praised the efforts of the local center in Manali for the equipment and the systems installed there. NewsUpdate Dharamsala, April 09th , 2009 : Twenty-Twenty Cricket,Himachal, Dharamsala News. 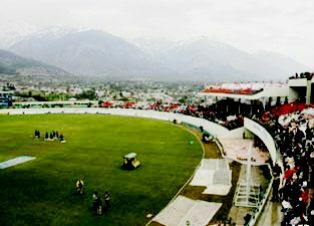 The Himachal Pradesh Cricket Board will be hosting the Twenty-Twenty Cricket Tournament, at a state-level, for all the major districts and cricket clubs, next month in May, 2009. This will encourage young cricketing talents, plus provide entertainment and economy to the Himalayan state. NewsUpdate Dharamsala, April 09th , 2009 : Clean Dharamsala Drive,Himachal, Dharamsala News. The local administration of all the districts, gram panchayats, mahila mandals, clubs and local schools have engaged, on a one week 'Clean Dharamsala' program. Garbage clearance, hygiene talks, were held during this period. A commendable effort by everyone ! NewsUpdate Dharamsala: Ancient Meenakshi Devi Temple, Madurai, Tamilnadu,2009. NewsUpdate Dharamsala, April 05th , 2009 : Meenakshi Devi Temple,Maduria, Dharamsala News. The exotic carved temple complex is dedicated to Lord Shiva, known here as 'Sundareshvara' and his consort 'Parvati' or 'Meenakshi'. The original temple was built by Kulasekara Pandya, but the entire credit for making the temple as splendid as it is today goes to the 'Nayaks'. The Nayaks ruled Madurai from the 16th to the 18th century and left a majestic imprint of their rule in the Meenakshi - Sundareswarar Temple. This beautiful temple is in the heart of Madurai in Tamilnadu state. 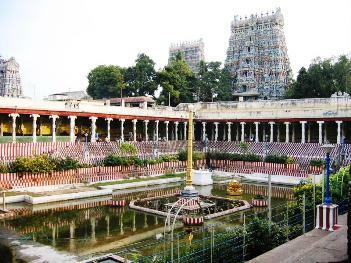 Legends says that the celestial wedding of Lord Shiva and Meenakshi took place at this holy site. The temple is vibrant, with its thousand pillars and the musical pillars where, music resonates its ancient culture and history. NewsUpdate Dharamsala, April 03, 2009 : Happy "Ram Navmi" 2009, Dharamsala News. 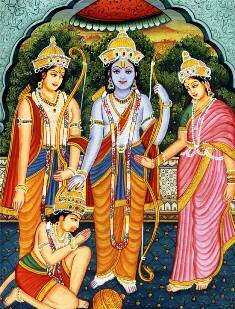 The birthday of Lord Rama is celebrated as "Ram Navmi", in the springs of Indian soil all over India. 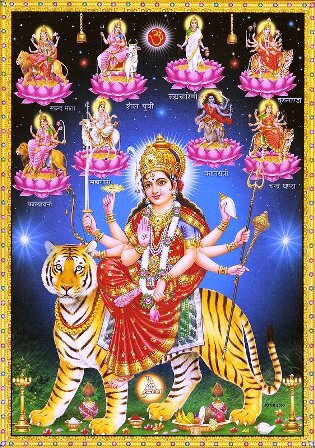 The Surya or Sun God is worshipped and sacred baths are taking with the recitation prayers and mantras welcoming the spring with the blessings of Lord Raghunath or Lord Rama. The ancient "Ramayana" epic is narrated by all eminent Hindu priests and sadhus to the local communities. 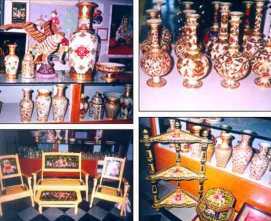 NewsUpdate Dharamsala: Ancient Mata Vaishno Devi Temple,2009. News Update Dharamsala, April 02, 2009 : Vaishno Devi Shrine, Katra, Jammu, Dharamsala News. In the awakening of birth is the dark reality of death. Lord Bhairav's intense devotion to the Goddess Vaishno Devi, was marred by his desire for her, for which he incurred death. For his devotion to her he was blessed to be immortalised as the God of Pro-Creation and the Spirit world and for his desire he was destroyed by her. In his death was her forgiveness and his redemption. The pilgrimage to this holy site, is not complete without paying respect to his temple, after offering prayers to the Mother Goddess Durga..in her child form ! 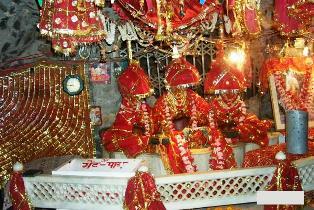 Legend has it that the Goddess 'Sati''s hand fell on this Shakti Peeth (Energy Zone).